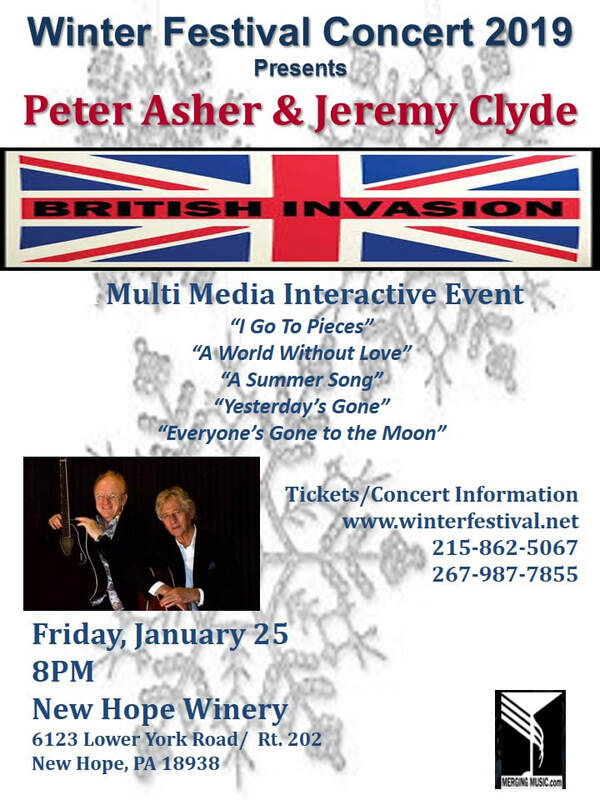 ​Peter Asher of Peter & Gordon joins forces with Jeremy Clyde of Chad & Jeremy to star together as the British Invasion Duo in an unforgettable evening of music and memories featuring songs and stories from each of their sixties heyday. Their respective duos were collectively responsible for 30 Billboard chart hits. By the end of that amazing musical decade, both duos headed off to new interests, with Waller and Clyde pursuing acting careers, Stuart getting into musical direction in American television, and Asher becoming an A-list record producer. Asher achieved his greatest success producing a long string of multi-platinum albums for James Taylor, including Sweet Baby James, JT and Flag, and for Linda Ronstadt, including Heart Like a Wheel, Simple Dreams, Living in the USA, What's New, Canciones De Mi Padre and Cry Like a Rainstorm, Howl Like the Wind. Asher also played a role in shaping the Californian rock sound prominent during the 1970s, producing records for Ronstadt, J. D. Souther, Andrew Gold and Bonnie Raitt. In 1976, Asher and Waller reformed for the annual New York "Beatlefest" and played a few other dates. In the 1980s, Asher also worked on hit albums for artists as diverse as Cher and 10,000 Maniacs. Currently, Peter Asher is the host of a new show on SiriusXM satellite radio's new Beatles Channel (Ch. 18) called “From Me To You” where he tells anecdotes about the Beatles and plays music by the Fab Four, Peter & Gordon and others. Between producing projects, Asher – who just worked on an upcoming Netflix special with Steve Martin and Martin Short – is now teamed up with Clyde for a tour of Peter and Jeremy which celebrates the hallmarks of the British Invasion. "As Mr. Asher regaled a delighted audience with stories...he conjured history in the making, before it was set in stone". "The exuberant Mr. Asher knew anyone who rocked and everyone who mattered." "An all-around charming and delightful fellow -- he reminisces about his whole career and it is highly entertaining"
"Everybody should go and see it -- I've seen it myself twice"
CONCERT IS ALMOST SOLD OUT. SINGLE GA seats are available and standing room tickets will be sold at the door. $100 at Door include a Pre-concert Reception and Meet & Greet at New Hope Winery Pour House where complimentary light fare, wine and beer will be served. Special Guest VIP Tickets ($95): Join us at the New Hope Winery's Pour House for a Pre-Concert Reception with an artist meet and greet, featuring complimentary light fare and wine, beer and soft drinks. 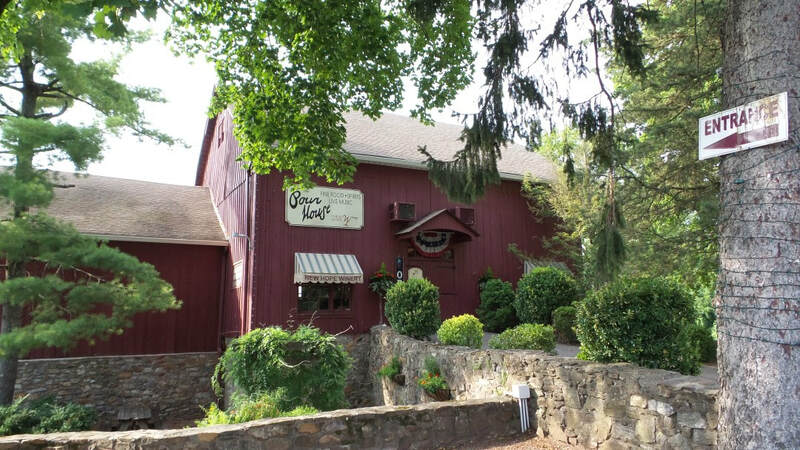 We are pleased to serve seasonal beer from Great Barn Taproom, West Mechanic St, New Hope, PA !